Named for an inspirational former board member whose determination made the dream of this unique place possible, the Rogers A. Severson Fitness & Technology Center encompasses a state-of-the-art workout facility, physical therapy services as well as Goodwill of Orange County’s Assistive Technology Exchange Center. 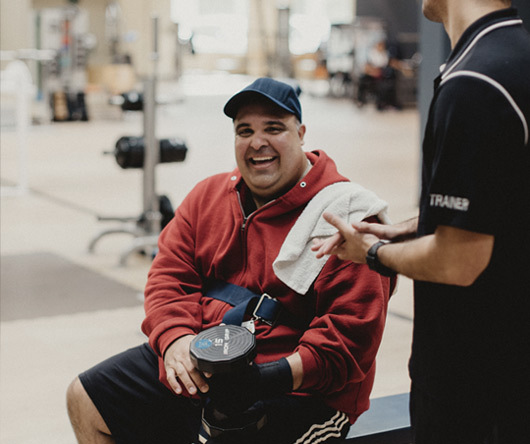 There’s only one place in Orange County where you’ll find a fully accessible gym with the latest specialized equipment and facilities alongside inclusive fitness classes and our knowledgeable physical therapists and personal training staff. Designed specifically for people living with physical disabilities or chronic illness, the Goodwill Fitness Center provides extraordinary services. But what makes an even greater difference is the community of care and support found only here. We offer affordable rates and insurance plan coordination. We invite doctors and providers as well as individuals to contact us to learn more about our commitment to a healthy quality of life for everyone through exercise. Our Physical Therapy program, offered by a highly-qualified team of clinicians, is a skilled rehabilitation and educational service that utilizes the latest specialized equipment to increase and maintain muscle strength and endurance, decrease pain, restore joint range of motion, and more. We develop an individualized treatment plan to help our patients achieve their goals, enhance their independence and improve their functional mobility at home and in the community. Our Physical Therapy program is available to anyone who has difficulty with mobility in a way that it limits daily activities. The most common conditions we treat include stroke, spinal cord injury, traumatic brain injury, and other neurological and orthopedic injuries. Call us at 714.361.6180 Ext. 241 to book a free consultation today. 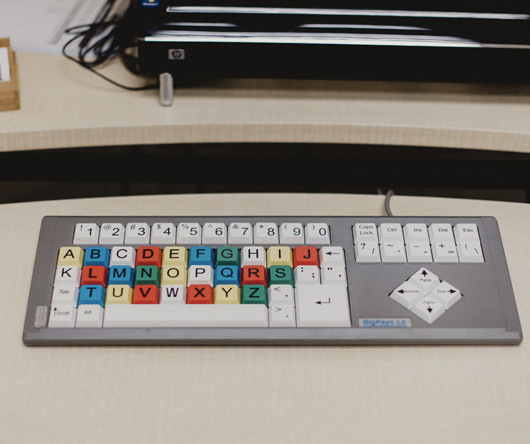 Goodwill of Orange County's Assistive Technology Exchange Center (ATEC) enables individuals to increase their independence at school, home, or in the workplace by providing the best technological solution for their individual needs. Our items and pieces of equipment, both high tech and low tech, are intended to maintain or improve the functional capabilities of people with disabilities. This comprehensive assistive technology program provides services, including assessment and training; technological devices through our device loan and reuse program; consultation; technical support; and equipment installation, delivery, and repair. We invite you to take a tour of our facilities and talk with our staff. If you are interested in ATEC and our many services, please contact Lauren Mennig, Program Manager using the form below.